After October 3, Dean Orrico said his mindset changed. The day’s market volatility was a clear sign that things were different and that after years of rapid growth, a slowdown was imminent. Orrico, president and CEO at Middlefield Capital Corporation, was not about to take his phone off the hook and hide under his desk, however. His firm, a specialist money manager that focuses on equity income, was already repositioned into more defensive sectors. This is not Orrico’s first rodeo and Middlefield has been able to generate outperformance since October 3 by the nature of its approach and the type of money it manages. He told WP: “As an overarching theme, we are really focused on equity income, so this type of volatility has actually seen equity income outperform. “That shouldn’t surprise anyone because companies that are growing and have sustainable dividends are generally more stable and if you’re more stable, that may be a place where the market looks to hide. “Just by the nature of the type of money that we manage and how we specialize, it’s been a better place to be in. More generally, I’d say in a late economic cycle you tend to see rotations into defensive sectors like healthcare and real estate, and we happen to be focused on those areas because they are high-dividend paying areas. Orrico does not see a recession coming any time soon but in his more diversified funds – outside of real estate and healthcare – he admitted he has taken a more defensive approach. It’s clear that October 3 struck a chord with the former commercial corporate banker and he encouraged investors to analyze the factors that have driven this increase in market volatility. He believes it began when the FOMC (Federal Open Market Committee) and Chair of the Federal Reserve Jay Powell started talking about another rate increase this year and maybe three or four more in 2019. Orrico said the market had priced this in but that Powell then intimated that the hiking would go on longer than everybody had previously thought. Throw in ongoing issues in Europe – Brexit, the EU, Italy and the leadership in Germany – and there are more overhangs. US versus China’s trade slugfest remains a headwind, while economic data points to a slowdown and oil prices have come back. 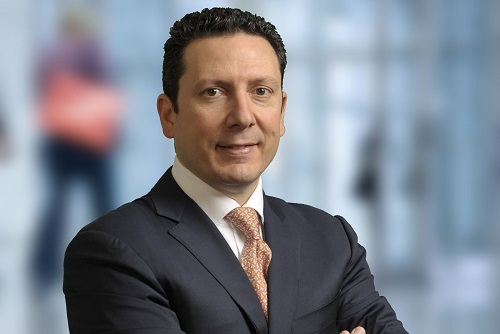 Orrico said it’s an exciting time to be an active manager and Middlefield is ready to capitalize on people’s need for income – especially if they can’t get what they need from their bond portfolio. He said: “We are a specialist manager and that has a variety of meanings to it. One, we are really focused on equity income. Given the fact that interest rates continue to be relatively low, even though they have been nudging higher for the past couple of years, if you’re an investor and you need income it’s hard to rely on your bond portfolio to provide that. So you need it from equities. He highlights healthcare as a prime example and added that while it represents about 2% of the TSX, it’s actually about 15% of the S&P 500. Orrico has been with Middlefield for more than 20 years after realizing his skillset of corporate analysis and knowledge of how companies service debt was a good fit in terms of accelerating the firm’s equity income specialism. With primary offices in Toronto, Calgary and London, UK, Middlefield – formed in 1979 - is now an established name in the industry with an enviable reputation among retail investors. Another area of investing he believes is often overlooked in a lower-return environment is REITs and he explained why they should be on investors’ radars. He said: “We really focus on commercial real estate and, in my opinion, there is no better source of stable, predictable, tax efficient equity income than you’re getting from REITS. In all of our diversified income funds, real estate really is the anchor of those portfolios because of those attributes. “A lot of people think investing in REITS as being more attractive when rates are declining because on average 40-50% of a REIT’s balance sheet is borrowed money and when rates are going down, the cost of borrowing goes down, so there’s more cash available to pay dividends and grow the business. “But if you look at the last 20-30 years, REITs do just as well when rates are increasing. The reason being that although higher interest costs become a drag on your cash flow because of the debt you need to service, the reality is that most REITs are renewing their leases, 10-15% every year, and rates are normally going higher because the economy is doing better. Enough negativity, why Canada is ready for energy "bounce"